If you are looking for a dream wedding near Normanton Church museum in Rutland certainly useful information can be found here. 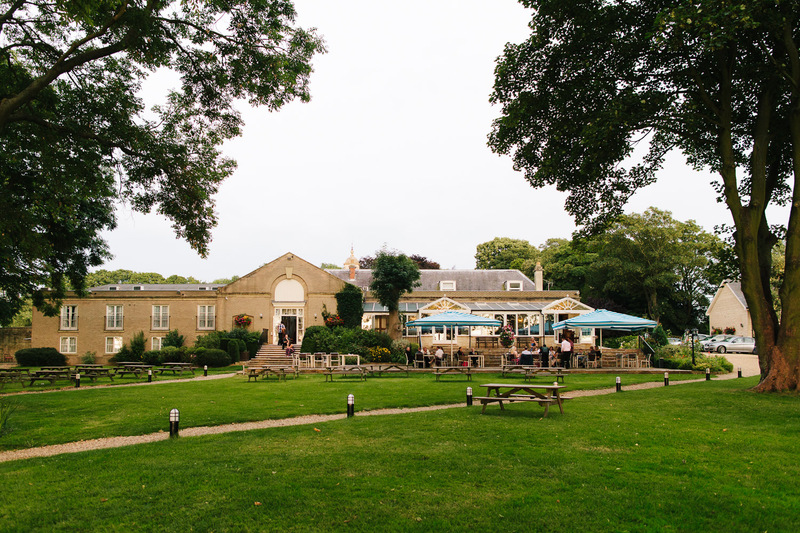 Below you will find venues which offer wedding reception and are located close to Rutland Water museum. Information about travel time and the wedding prices. Available since May 2014, there is a new wedding venue service which was set up by Anglian Water in partnership with Funky Tents & Events. Weddings and similar occasions can now be run and organised at four different locations on the banks of Rutland Water. These marquee wedding reception venues are at Barnsdale View, Whitwell Glade, Whitwell Point and Sykes Lane. If this appeals to you, you can hold your wedding ceremony at Normanton Church then you and your wedding party can sail across the lake on the Rutland Belle to the marquee site. The boat holds 110 people. You can have a spectacular firework display laid on for you that starts from £650. The venue fee is £1,000, with additional costs for the marquee and for fitting it out. You may also want a portable toilet or a generator. You might decide to have your own caterer but the Harbour Café is available, and use of this facility means that £150 will be deducted from the venue fee. 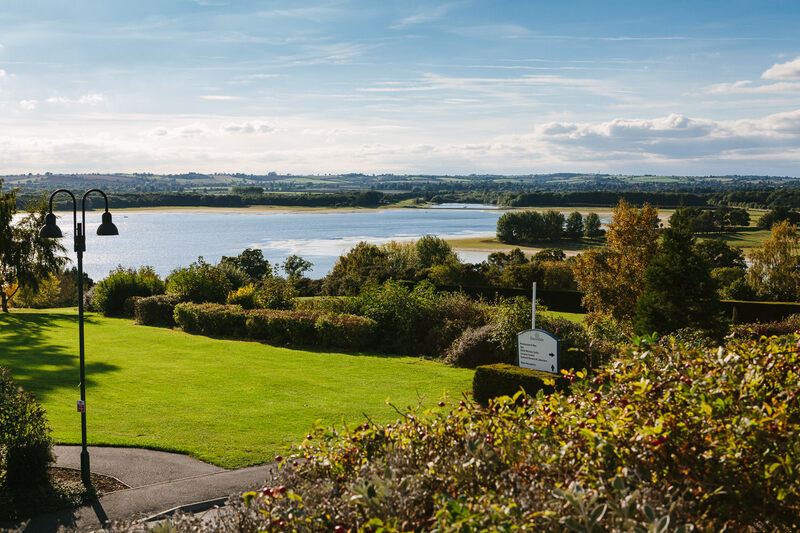 There is ample parking for your guests at Rutland water and many nearby hotels to choose from should any of them wish to stay over. This is certainly something different for couples planning a memorable occasion. A fairy-tale wedding in the church on the water, and then a trip across the lake with fireworks, fun and food to follow, and everything safely managed on the day by the organisers. Take the first step towards a very unique wedding and contact Funky Tents to find out more about all aspects of this new service, the costs and availability. This venue has all the facilities needed to cater for large or small weddings. It stands in sixty-five acres of parkland, overlooking Rutland Water, an oasis of tranquillity and relaxation that benefits from its private location and romantic setting. The hotel has a choice of rooms for your reception. Room hire will cost from £500 to £1,150, depending on the size of the room you will need. Wedding breakfasts of up to 160 guests and evening buffets for 200 people can be accommodated. You will also be able to choose from a wide selection of reception and buffet menus and drinks options. 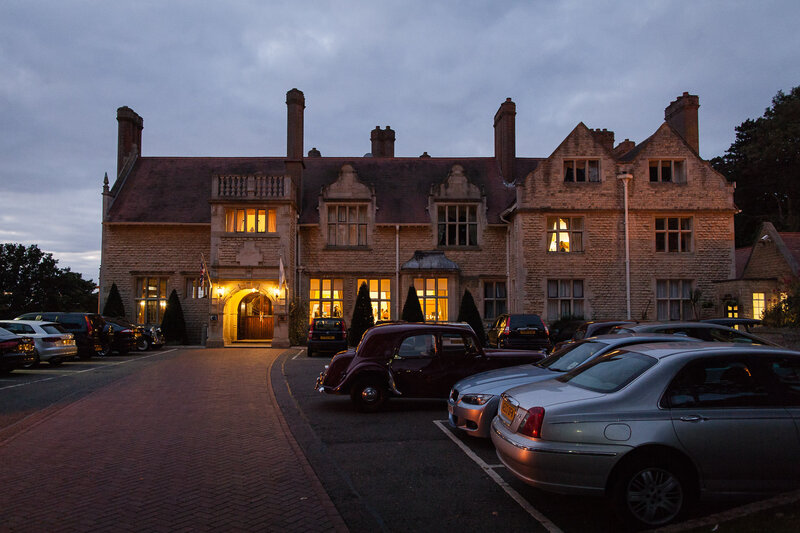 The venue’s experienced events co-ordinators can be relied upon to ensure everything will run smoothly on the day, and should any guests wish to stay over once the happy occasion has drawn to a close, the hotel has sixty-six rooms and frequently offers discounts for weekend bookings. Close to Barnsdale Lodge Hotel is Barnsdale Lodge, a converted farmhouse positioned on the north shore of Rutland Water and a few minutes from the old town of Oakham. This building once formed part of Exton Park, seat of the earls of Gainsborough. Now it is a privately owned hotel that offers free parking, a restaurant, Wi-Fi and a spa. Barnsdale Lodge has a variety of private function rooms and can cater for wedding parties of twenty to two hundred people. It offers a bespoke wedding package for 2014/15. This is for sixty guests and starts at £3,500. This includes the wedding breakfast and the use of the honeymoon suite. Extra guests can be added for £60 per head. There is an experienced events organiser who will note all your requirements and work with you to create the wedding of your dreams. A team of chefs is also on hand, ready to provide anything from a finger buffet to a five-course dinner. Friendly and efficient, the staff will do their best to make your wedding day really special. Weddings at Normanton Church are frequently followed by a reception at The William Cecil Hotel. This is a very popular venue situated on the edge of the Burghley Estate within walking distance of the historic town of Stamford. Formerly known as The Lady Anne’s Hotel, the venue comprises three separate listed buildings, all of which were built at different times during the eighteenth century. The hotel changed its name in 2010 and reopened as The William Cecil Hotel the following year after a substantial refurbishment. The venue has excellent rooms, service and menus. There is also ample parking, a choice of reception rooms and a garden marquee. There are a variety of wedding packages to choose from. For just £5,995 you can have the hotel’s Spring & Autumn package based on sixty day guests and ninety evening guests. The price includes a three-course wedding breakfast, room hire, a master of ceremonies, a DJ, evening nibbles, and the use of the bridal suite. The Winter Wedding package works out slightly cheaper at £4,995. Weddings at Normanton Church are frequently followed by a reception at The William Cecil Hotel in Stamford. This venue is situated on the edge of the Burghley. You can also opt for a bespoke wedding and the cost will naturally reflect the type of wedding you want. Another option is to choose a price-per-head package, ranging from £90 to £150 per person. It’s very much up to you what type of package you prefer, but this experienced venue will do its best to accommodate your wishes whatever they might be. Their very helpful wedding co-ordinator, Juliet Bird, is the person to contact if you are interested in this venue. She can guide you through the whole process of booking and planning your special day. Twenty minutes’ journey from Normanton Church will take you to this family-run three-star hotel. It has thirty-five bedrooms, a restaurant, ample parking, and stunning views across Rutland Water and the surrounding countryside. Greetham Valley often works closely with Normanton Church, helping couples to organise their wedding day with a civil ceremony at the church being followed by a wedding breakfast at the hotel. They can do a bespoke service tailored to your requirements or a full wedding package starting at £65 per person. Wedding Fairs take place at Greetham Valley twice a year. They also have Wedding Menu Taster evenings and special offers on weddings booked between October and March. The hotel’s wedding co-ordinator is always happy to provide details of their events and wedding packages and will give you a guided tour of the venue to help you decide. You might even like the idea of spending a relaxing honeymoon in one of the establishment’s on-site cottages or holiday lodges, surrounded by the lakes and woodland of beautiful Rutland. 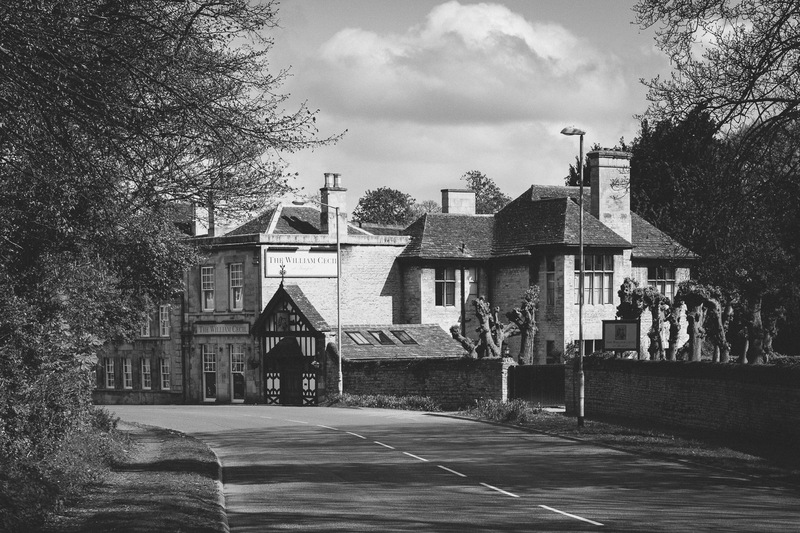 Normanton Park Hotel was once the stable block of Normanton Hall. When Sir Gilbert Heathcote bought this estate in Rutland in1729, the existing country house of Normanton Hall fell into his possession. The hall was later rebuilt by his son during the years 1735-1740. The hotel has experienced staff who will be happy to assist you with the planning of your special day. Quality of service is taken seriously at this establishment and whether you choose the hotel for your entire wedding day or just for the reception, everything will be done to ensure your specifications are met. 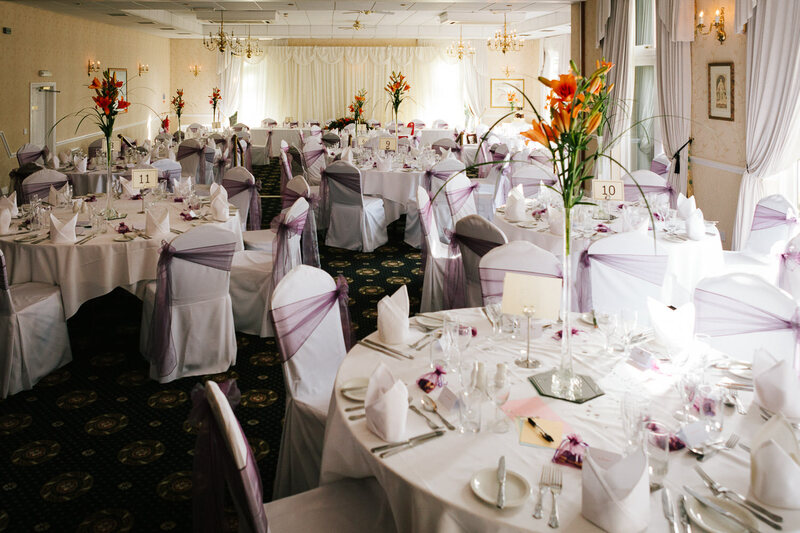 If you want to hold your marriage ceremony here, the Heathcote Suite is licensed for one hundred guests and hire of this room is £450. Normanton Park Hotel is very conveniently situated for any couple who want to have their wedding ceremony at nearby Normanton Church. The Rutland Suite and the Conservatory together provide a superb setting for your wedding breakfast and evening buffet. They can be booked for a minimum of seventy guests and a maximum of one hundred and fifty and room hire will cost you £995. A block of up to twenty rooms can be held for wedding guests planning to stay over. Exclusive use of the entire venue for the day is available for a fee of £3,000. Why not contact the hotel’s wedding co-ordinator and ask for a brochure or a guided tour? You will then be able to choose your menus – anything from a four-course wedding breakfast to a simple finger buffet. You can also share a traditional hog roast with your guests in the evening. You may decide you want a disco, a live band or even a magician at your reception. The hotel will do its best to honour any special requirements. You will also find the function room an ideal place for wedding photography. Once the excitement of the day is over, you will be able to relax in the Jacuzzi, and then spend your wedding night in one of the hotel’s honeymoon suites where the balcony will give you a romantic view across the lake. As you watch the moonlight shimmering on the water, you will be able to reflect upon your magical wedding day in this beautiful, fairy-tale setting. You will go a long way to find a more perfect backdrop for the wedding of your dreams.